Ready to undergo the most popular bariatric surgery and be down to your target weight in 1 year? Let us arrange it all for you. Gastric sleeve surgery is one of the most popular bariatric surgeries in Iran. Also known as sleeve gastrectomy, gastric sleeve in Iran is offered by highly-skilled surgeons who have completed fellowships in bariatric and laparoscopic surgery at top universities. At AriaMedTour, we help you get a gastric sleeve surgery with one of the best bariatric surgeons as well as do all the arrangements for your trip and stay in Iran. Why choose Iran for my gastric sleeve? Iranian hospitals offer safe and effective bariatric surgery to foreign patients at the most reasonable prices. Enjoying modern healthcare facilities and skilled and experienced bariatric surgeons, all board-certified, Iran is increasingly becoming popular as a medical tourism destination among people who want to have an affordable yet safe gastric sleeve surgery. 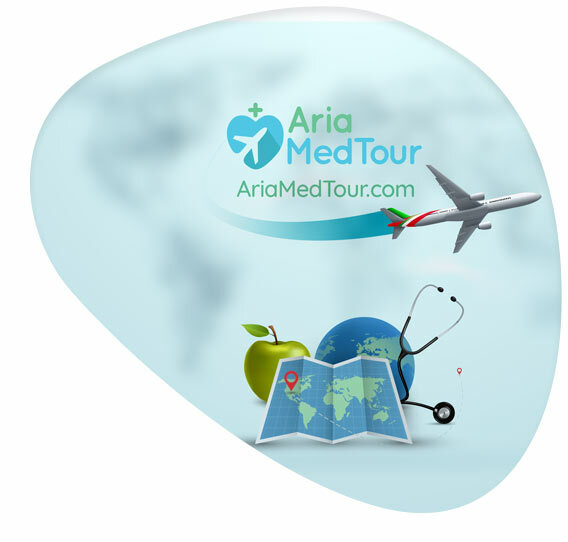 With AriaMedTour, you would not have to worry about the hassle of traveling and finding a good surgeon and hospital. We will help you choose your bariatric surgeon, arrange your doctor’s appointment and surgery, get a visa for you, book accommodations for you, and stay alongside you from the moment you arrive in Iran until you get your treatment done and return back home. How is sleeve surgery performed? There are two types of gastric sleeve surgery in Iran. One which involves removing 60 percent of the stomach, commonly known as ‘wide sleeve’ in Iran, and the other in which 80 percent of the stomach is removed and is called ‘tight sleeve’. Gastric sleeve surgery is performed using the minimally-invasive laparoscopic technique. It is available at modern hospitals in Tehran, Mashhad, Shiraz, Isfahan, Kish, Tabriz, and some other cities. Why Iran for gastric sleeve surgery? Iran is increasingly becoming a popular destination for weight loss surgery candidates from all across the world. A number of factors contribute to the popularity of Iran for weight loss surgery, especially gastric sleeve surgery, the most important of which are proficient doctors, affordable costs, and first-class medical facilities. Highly trained and experienced, Iranian bariatric surgeons are particularly very skillful in sleeve gastrectomy. Having studied medicine and surgery at prestigious universities, they have pursued advanced courses and fellowships in general surgery, laparoscopic surgery and bariatric surgery in Iran and/or developed countries, including the United States and England. While the quality and efficacy of gastric sleeve surgeries done in Iran as well as the patient satisfaction rate are very high, the cost of a gastric sleeve in Iran is among the lowest in the world. A quick Google search of ‘gastric sleeve cost in X’ (where X is the name of a country), will show you that by having a gastric sleeve surgery done in Iran, you can save up to 80% of your budget. The following chart is a comparison of gastric sleeve cost in Iran with some other countries. The average cost of a gastric sleeve surgery in Iran is currently around $3800. AriaMedTour offers gastric sleeve surgery with the best bariatric surgeons in Tehran, Mashhad, and Shiraz for $3780, including all costs (doctor’s and clinic’s fees, anesthesia cost, and pre-op tests and consultation) as well as, hotel, visa, transfer, airport pick-up, interpreter, and post-op support. Well-equipped hospitals in Iran enjoy specialized bariatric surgery clinics offering all types of laparoscopic weight loss surgeries. Iranian hospitals with medical tourism licenses are staffed with highly qualified and experienced doctors and nurses. With state-of-the-art medical equipment as well as VIP services, Iranian hospitals are well-prepared to offer world-class services to international patients suffering from obesity. Why choose AriaMedTour for gastric sleeve surgery? 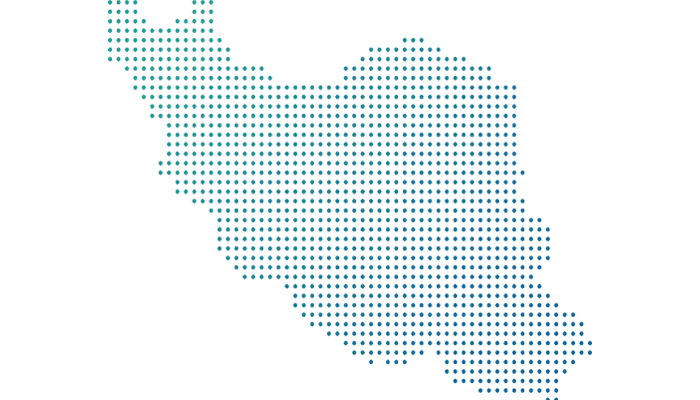 AriaMedTour is a reputable medical tourism facilitator that helps foreign patients have a smooth and hassle-free medical trip to Iran. With its cadre of professional medical consultants, patient coordinators, and interpreters, AriaMedTour does all the arrangements for you from helping you choose the best bariatric surgeon and hospital in Iran, get a visa for Iran, book flight and accommodations, to picking you up from airport, transferring you to your hotel and hospital, assigning a personal interpreter to you to help you communicate with your doctor, and providing post-operative care and consultation. Weight loss surgeries offered by AriaMedTour are all performed by the most experienced and reputable bariatric surgeons in Iran who are all board-certified and have passed advanced fellowships in bariatric and laparoscopic surgery. The hospitals AriaMedTour’s patients are treated at are among the most highly rated in Iran. They enjoy International Patients Departments (IPDs) which offer VIP services to foreign patients and their companions. On gastric sleeve: what is it and how it helps with weight loss? Gastric sleeve, also known as (vertical) sleeve gastrectomy or simply sleeve surgery, is a restrictive bariatric surgery (weight loss surgery), which means that it makes the stomach hold less food by reducing its size. In gastric sleeve, some 60% to 80% of the stomach is removed permanently, leaving the patient with a small tube-like stomach about the size of a banana that can receive a much smaller amount of food than it could before the surgery, dramatically decreasing the appetite of the patient and thus encouraging a weight loss. After a gastric sleeve surgery, 60 to 80 percent of the patient’s excess weight is lost (50 percent within the first 6 months after the surgery and up to 80 percent after 2 years). Sleeve gastrectomy is a minimally-invasive surgery performed under general anesthesia using laparoscopy. A gastric sleeve is suitable for people with a BMI above 35. People with a BMI between 32 and 35 can also have the eligibility for gastric sleeve if they have severe comorbidities such as high blood pressure, diabetes and sleep apnea. That said, the best candidates for gastric sleeve are those with a BMI over 40. Before deciding to have a gastric sleeve surgery, make sure to consult with a physician and discuss your overall health condition. AriaMedTour’s medical consultants help you choose the best type of weight loss surgery by analyzing your medical documents and photos. Also, see ‘which weight loss surgery is right for me?’. How is a sleeve gastrectomy performed? Mini sleeve (knowns as ‘wide sleeve’in Iran): 60% of the stomach is removed and it is suitable for people with a BMI between 32 and 35. Normal sleeve (known as ‘tight sleeve’in Iran): 80% of the stomach is removed and it is suitable for people with a BMI between 35 and 50. Our professional teams of bariatric surgery perform the gastric sleeve surgery using the minimally-invasive laparoscopic method, under general anesthesia. The operation takes about 2 hours and it is performed in hospitals authorized by the Ministry of Health and Medical Education of the Islamic Republic of Iran. The patient typically needs to stay in the hospital for one night or two, during which he/she is carefully taken care of by the supportive nursing staff of the hospital. Our hospitals provide VIP services to international patients and their companions coming from abroad, including convenient accommodations in the hospital. Gastric sleeve is one of the safest surgeries. However, no surgery is 100 percent risk-free. Minor side effects such as pain, bruising, swelling, and bleeding, might occur immediately after gastric sleeve, but they will normally disappear within a few days after surgery. In less than 1% of cases, internal bleeding, gastric leak, gastritis (inflammation in the lining of the stomach), bloating in the abdominal area, infection, pneumonia, and nausea and/or vomiting might occur. That said, our bariatric surgeons give patients proper instructions and dietary guidelines for post-op gastric sleeve in order to lessen the chances of developing post-op complications. Gastric sleeve surgery is a very effective weight loss treatment that yields a highly satisfactory result. Studies have found that gastric sleeve surgery is also very effective in combating chronic diseases associated with obesity, such as diabetes and hypertension. A study of outcomes of laparoscopic sleeve gastrectomy as a primary procedure for morbid obesity during a course of five years has shown that diabetes remitted in 75% of the patients and arterial hypertension improved in 71.7%. Apart from reducing the size of the stomach, a gastric sleeve also makes hormonal changes that will lead to decreased appetite. Unlike the gastric bypass, a gastric sleeve does not alter the normal function of the stomach, i.e. the anatomy of the digestive system will be preserved. Unlike malabsorptive bariatric surgeries such as gastric bypass that reduce the absorption of nutrients by bypassing a portion of the intestine, the gastric sleeve does not impact the absorption of nutrients. Unlike the gastric banding and gastric balloon, no external device is inserted into the body. The surgery is performed using laparoscopy, thus it will be a painless operation. The recovery is very quick and the patient will typically be up and around on the day of surgery. Most patients are able to walk the day after surgery. A future endoscopic check-up will be possible for the stomach and intestines. After deciding to have bariatric surgery, you may remain uncertain as to which type of surgery to go for, especially between the two more popular ones, i.e. gastric sleeve and gastric bypass. Each type of weight loss surgery has its own advantages and disadvantages. Considering all the benefits and drawback of gastric sleeve and gastric bypass surgery, you will be able to opt for one of them. But this is not the whole story. You should consult with your surgeon and discuss your health issues and your desired results in order to make a more informed decision. Our medical consultants at AriaMedTour are always ready to give you a free consultation with regards to this issue. In both procedures, the patient should stay in the hospital for 2-3 days after surgery. They are both not reversible. Both methods work by curbing your appetite, though in different ways. The recovery time for both procedures is 2-4 weeks. Both are very effective weight loss methods. Gastric sleeve and gastric bypass are different in several ways. The procedures are completely different (read about gastric bypass surgery). Gastric sleeve is usually recommended for patients with a BMI over 35 but gastric bypass usually is recommended for very obese patients with a BMI of over 45. Gastric sleeve does not change the normal function of the digestive system, but gastric bypass does. Gastric bypass is a malabsorptive bariatric surgery, which means it reduces the absorption of nutrients by bypassing a portion of the intestine, while sleeve gastrectomy does not affect the absorption of nutrients. 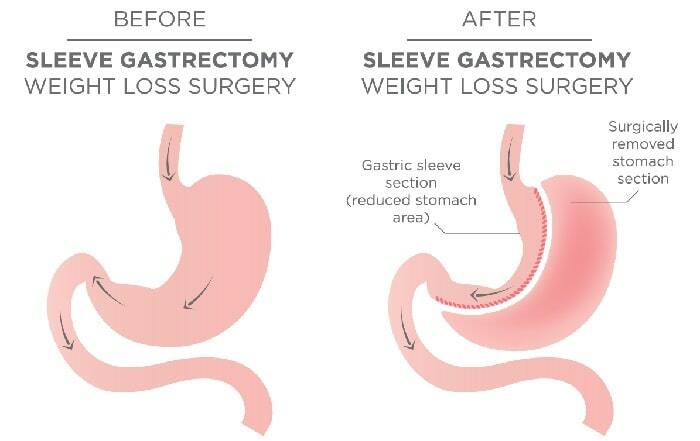 Although there are complications that might occur after a sleeve gastrostomy (which were mentioned earlier), the safety of gastric sleeve largely depends on the qualification and experience of the surgeon, as well as your health condition. As long as you choose the right doctor and follow the post-op guidelines provided by your doctor, gastric sleeve surgery will be a safe procedure. No. Once a portion of your stomach is removed, it is not possible to reattach it. What should I eat after sleeve surgery? After gastric surgery, you must follow a strict diet for one month in order to recover quickly and adjust to the new stomach size. Read a guide to a healthy diet after weight loss surgery. Also, your doctor will discuss with you the dos and don’ts of eating after gastric sleeve surgery. Will I regain weight after gastric sleeve surgery? Weight regain will happen in some cases because of the stomach’s elasticity which makes it stretch gradually. However, the overall result will be a significant weight loss for most patients. Additionally, following a healthy diet helps you get the most out of a gastric sleeve surgery. How long will I stay in hospital after gastric sleeve surgery? Typically, you will have to stay in the hospital for 2 nights for post-op care and recovery. How long should I stay in Iran for gastric sleeve surgery? You need to stay in Iran for 6 days for a gastric sleeve surgery because you need to visit the doctor a few days after surgery for a check-up.